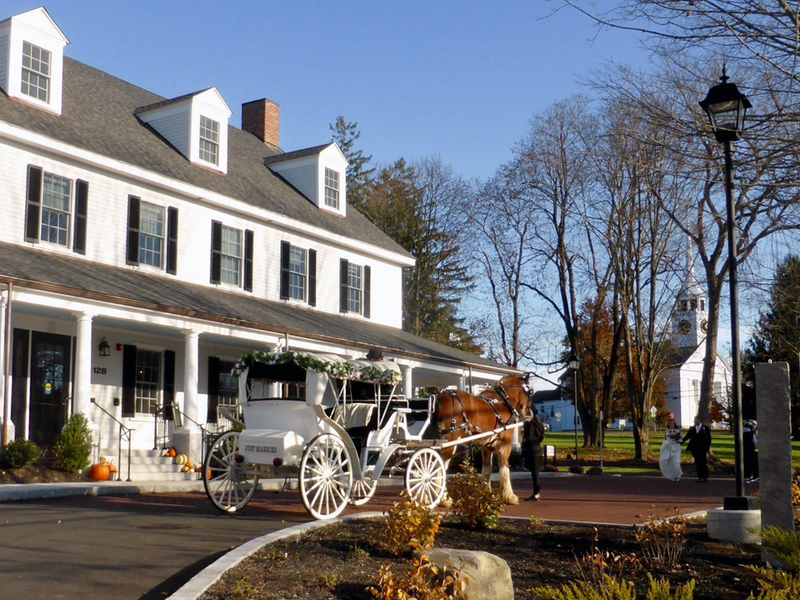 It is not unusual to see a horse drawn carriage and a happy couple in front of the Groton Inn. 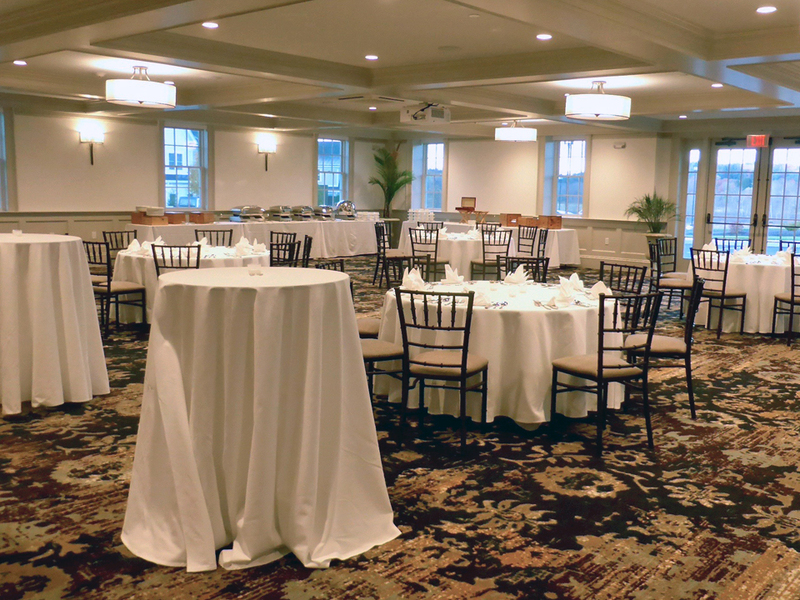 This newly rebuilt property is a popular choice for social and business events. 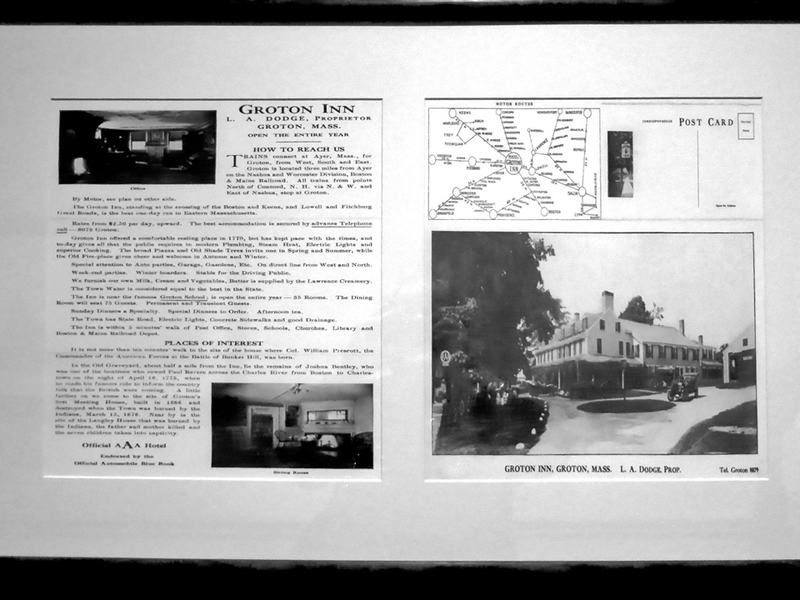 The Groton Inn began as a tavern in 1678 and is one of America’s oldest inns. It is where Minute Men assembled during the Revolutionary War. Masonic meetings were held here for decades, including the time when Paul Revere served as Grand Master. 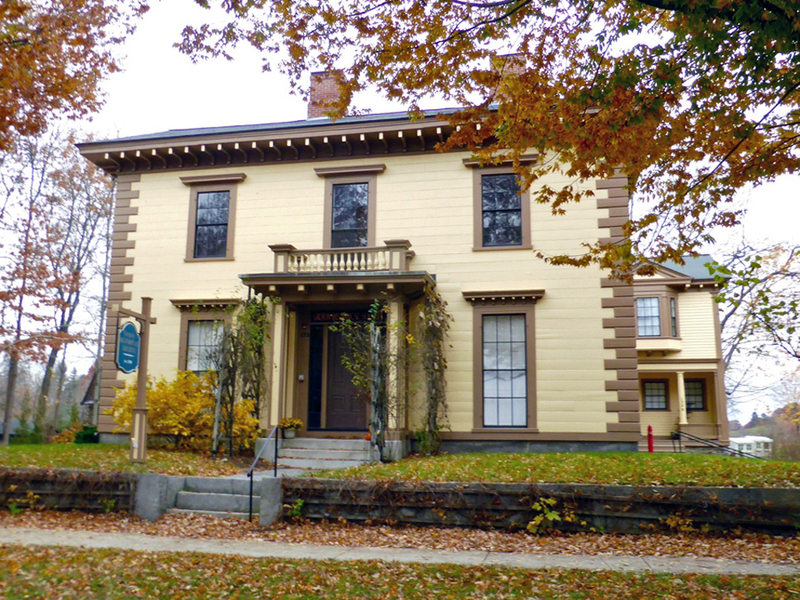 The Groton Inn is on Main Street, an area of historic homes, restaurants and shops. Its location makes it convenient to reach from the city, tech and corporate hubs, and busy highways. However, like the other Migis Group properties, it is designed as a relaxing setting for a getaway. Rocking chairs on the wide front porch are just the spot for enjoying a cup of coffee or basking in the afternoon sun. 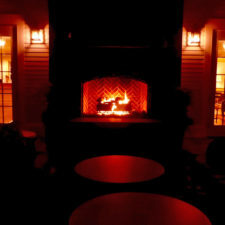 Step inside and settle in with a newspapers or one of the historical books and enjoy the the scent, sounds and warmth of the crackling fire. 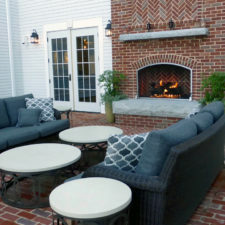 Venture out to the courtyard to enjoy the view of the rolling hills and patio seating by yet another glowing fireplace. 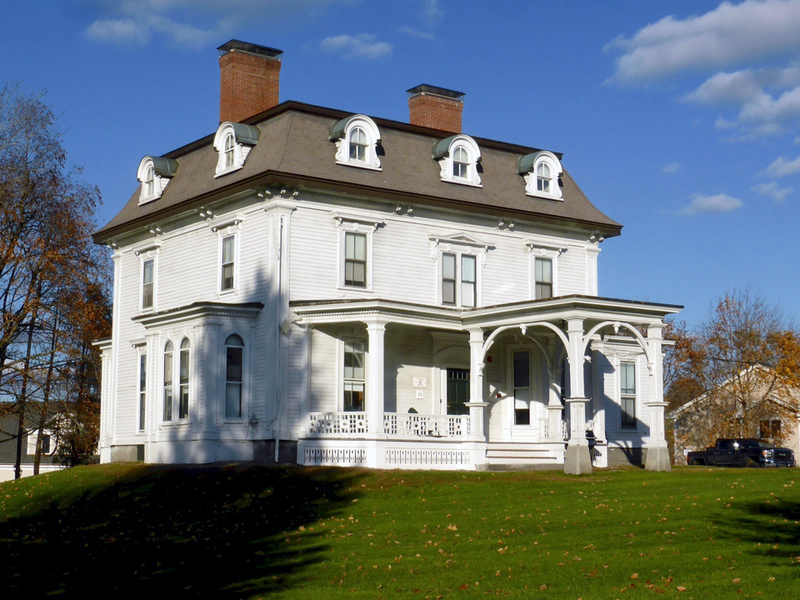 Groton is a quintessential New England town about 40 miles northwest of Boston. Its farms and abundance of conservation land create a sense of wide open spaces. A popular walking path leads to Bancroft Castle, ruins of General William Bancroft’s estate on Gibbet Hill. 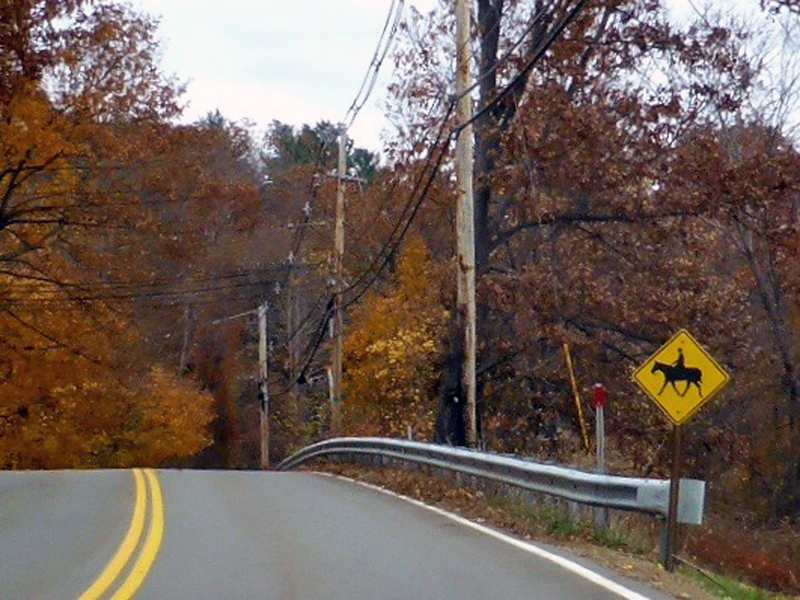 Groton’s extensive trail system includes the eleven mile Nashua River Rail Trail, where you can bike, hike, or go horseback riding as far as the New Hampshire border. 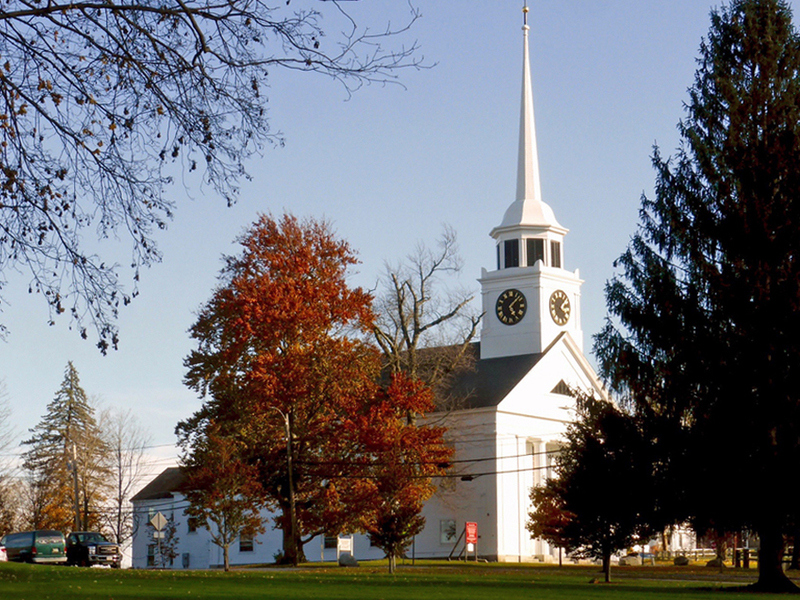 Across the road from the Groton Inn, a bell cast by Paul Revere in 1819 has been in continuous use at the First Parish Church, which was built in 1755. The original church was destroyed by fire in 1676 during the King Philip War. The Groton Historical Society is also on Main Street. It is in the Boutwell House, which was built in 1851 and is on the National Register of Historic Places. George S. Boutwell was a Groton shopkeeper who went on to become the Secretary of the Treasury under President Ulysses S. Grant. 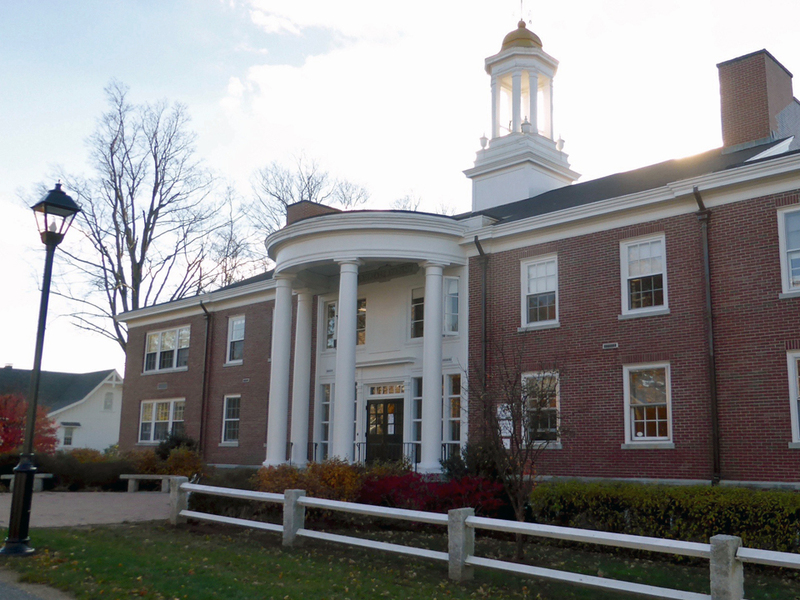 Groton is also home to two private boarding schools, Lawrence Academy, founded in 1793 and the Groton School, founded in 1884. The Groton Country Club is open to the public. 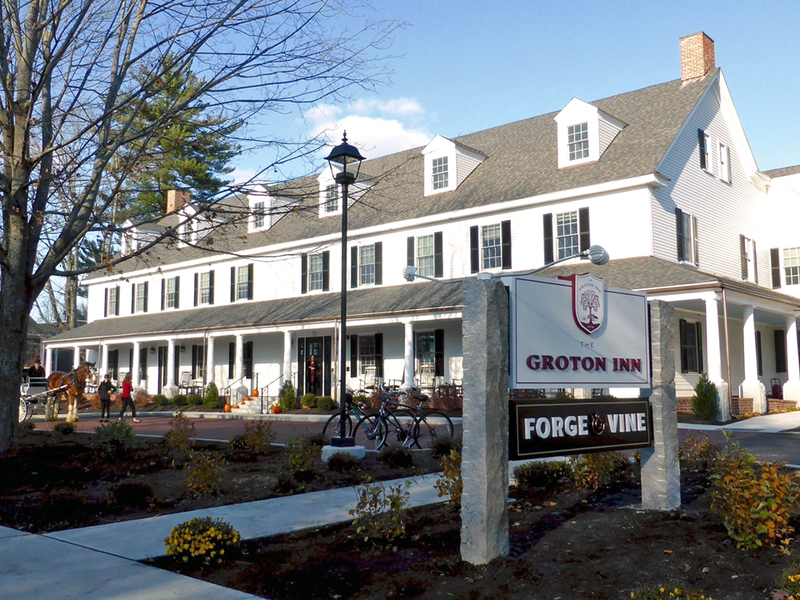 The Groton Inn has been rebuilt after a devastating fire in 2011. 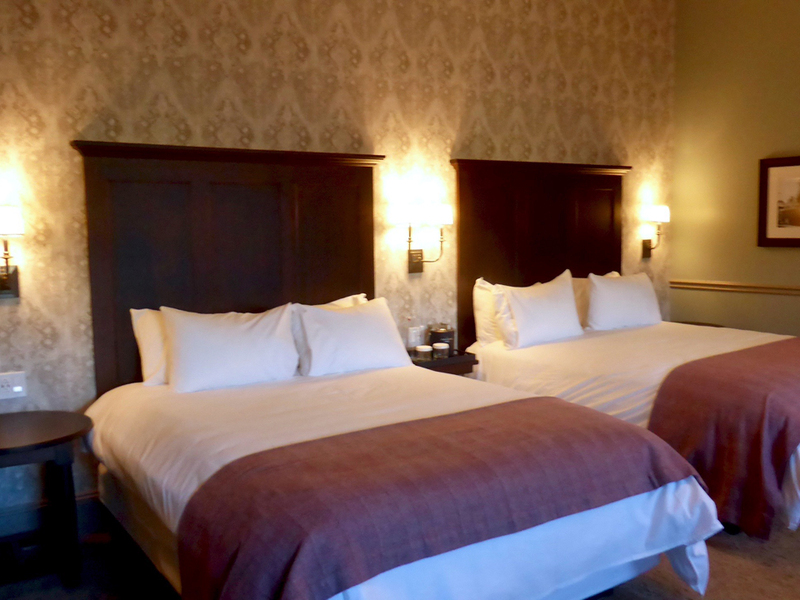 It reopened in the spring of 2018 as a boutique hotel with period details and attention to its historic legacy. 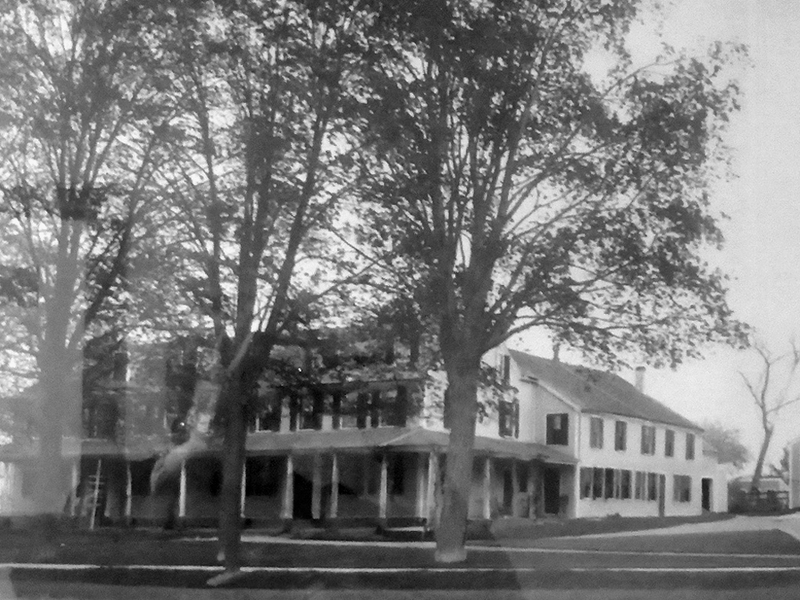 Two of the wooden posts on the porch, for example, have offset columns in keeping with those of the old inn. A comfortable and calming neutral color scheme complements the hand-scraped wide-plank hickory floors and brass fixtures. The carpet pattern, with its appearance of age, exemplifies a sense of time and place. 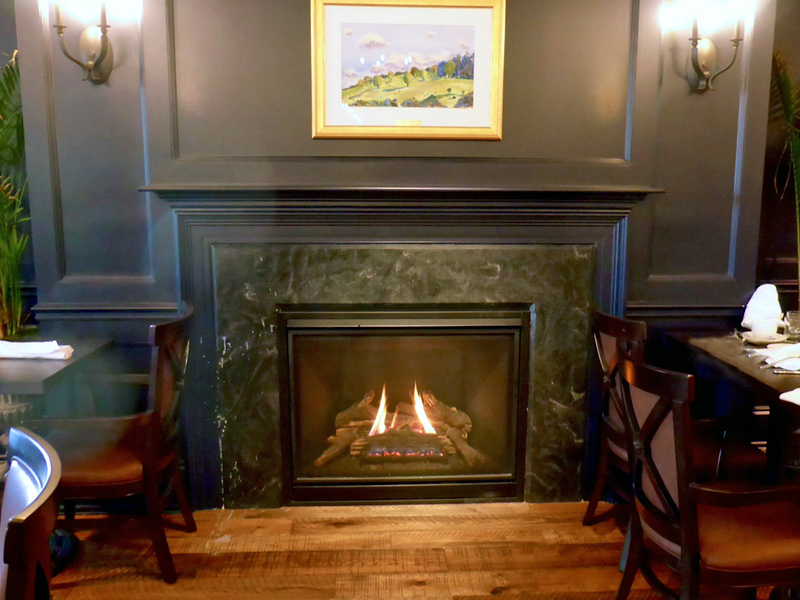 The elegant new inn, however, is more spacious, with larger rooms and modern comforts and conveniences. Each guest rooms has a 50” tv screens and a functional work area with plenty of electrical outlets. Wifi is complementary. Art in the main floor gallery is changed in accordance with the season. 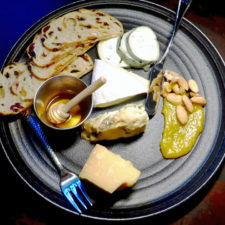 It is curated by and available through the owner of Groton’s NOA Gallery. 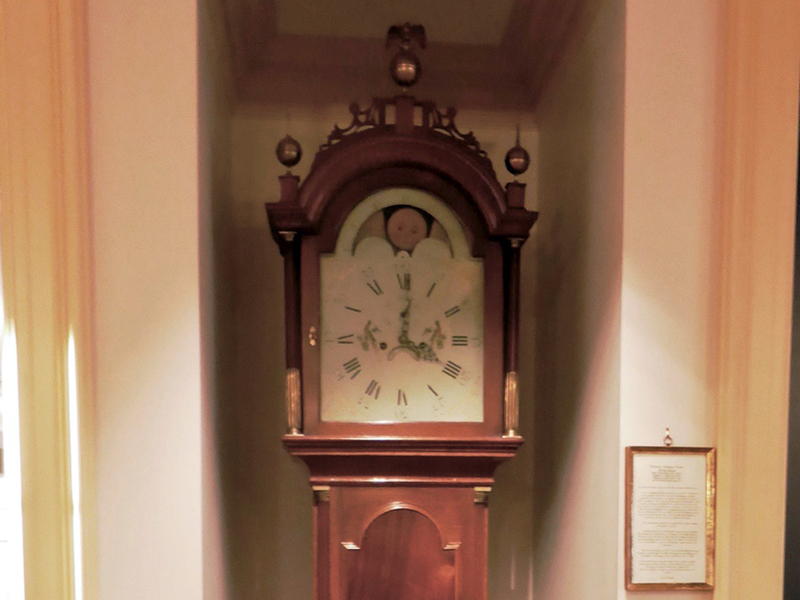 Historical artifacts, like the inlaid mahogany tall case clock made in Boston circa 1795 may be acquired through Delaney Antique Clocks of West Townsend. Groton Historical Society photos the line the walls of guest room hallways. 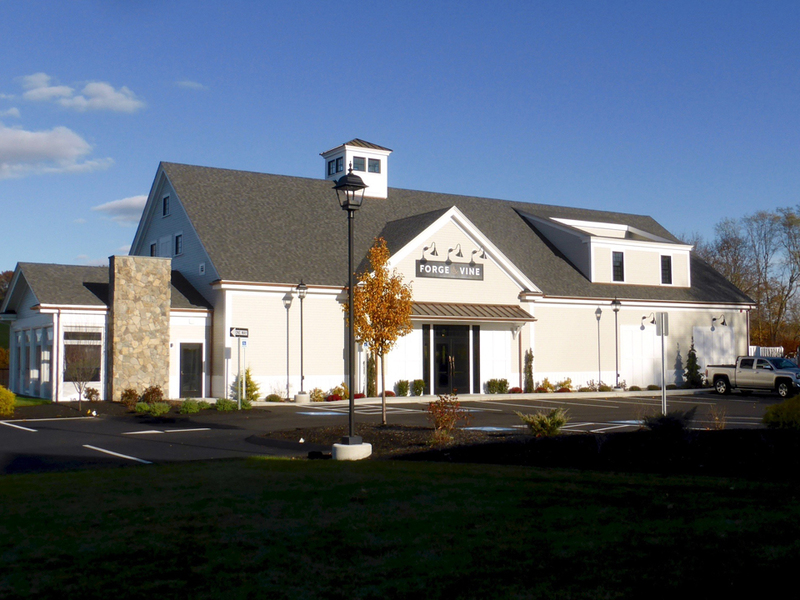 There are sixty spacious guest rooms overlooking a pastoral setting. 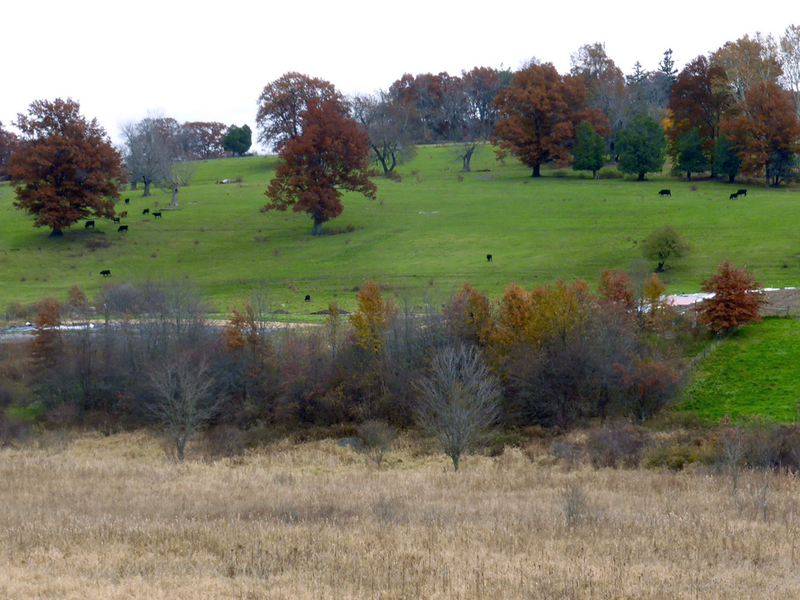 Black Angus cattle graze by day. 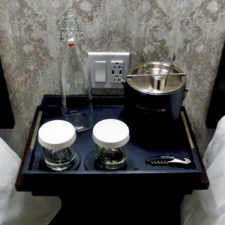 Robes are plush and stoppered bottles in the guest room may be filled with sparkling or still filtered water that is available on the first and third floors. 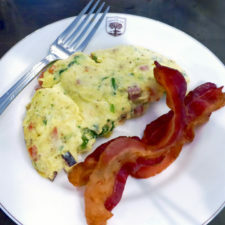 The full hot and cold breakfast buffet and Carrabassett coffee is included in the room rate when booking directly with the hotel. 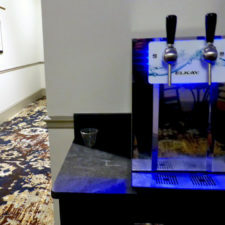 There are two banquet rooms as well as a high-tech boardroom and breakout rooms. All have full audio visual capabilities. The board room features a flat screen television and a direct phone line. 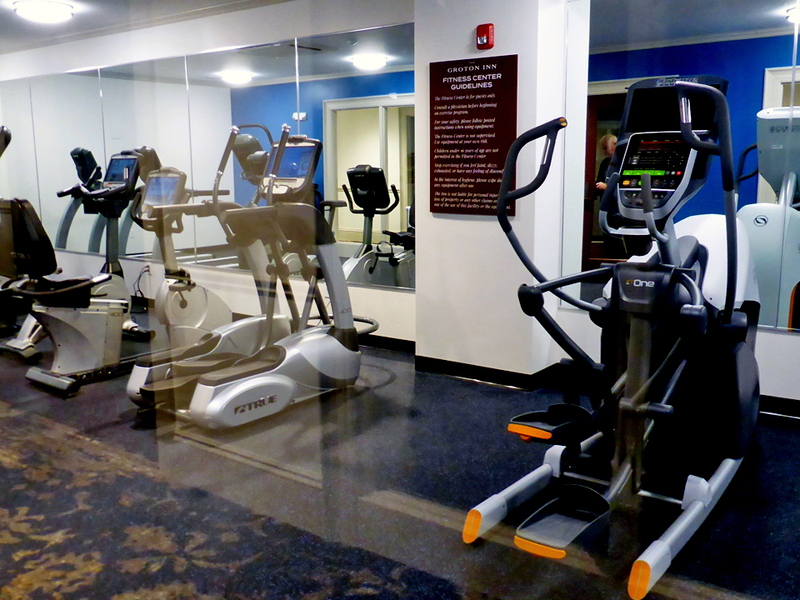 Exercise machines in the fitness center are equipped with with individual television screens. 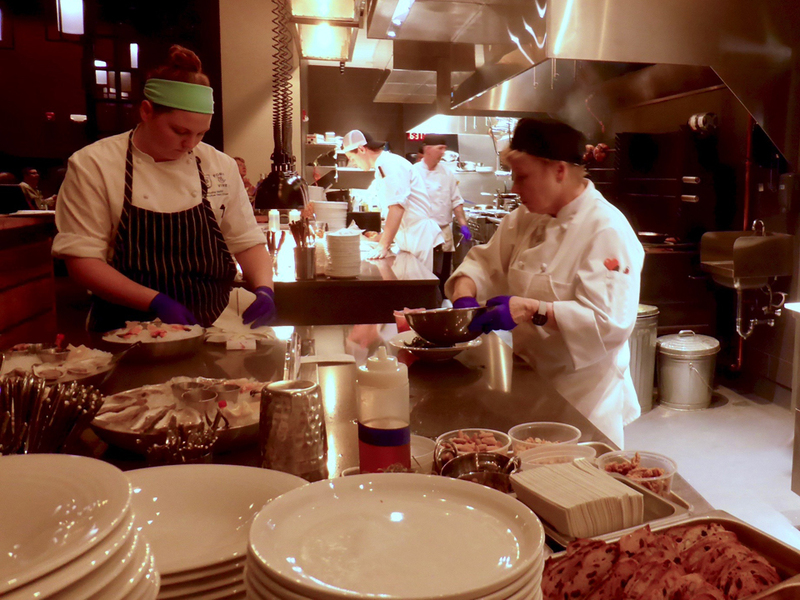 When Forge & Vine opened in October 2018 it added a sizzling new dining destination to Groton’s fine dining scene. 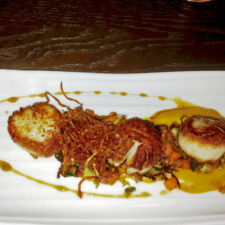 It is the signature restaurant of the Groton Inn in a new freestanding building adjacent to the inn. 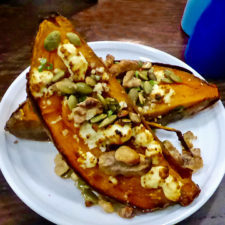 Its name is a reference to a former blacksmith shop. 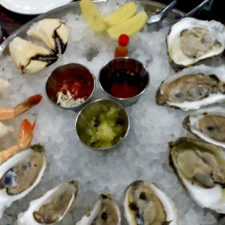 This distinctive dining experience is centered on an eight-foot wood fired grill, raw bar and and open kitchen. Hear, smell and feel the vibe from the moment you enter. The design incorporates the basic elements fire, wood, metal, and water. The back wall consists of floor-to-ceiling windows that bring in natural light and views of the moon rising over the rolling hills. Incoming light is controlled by screens that roll up or down. 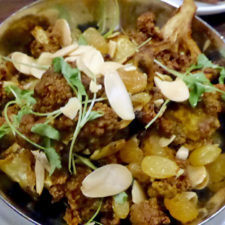 This restaurant fills quickly, primarily with the 30s to 60s crowd, even midweek. 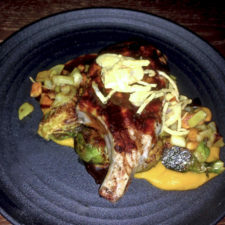 however, do not be discouraged if you do not have a reservation. Twenty-five percent of the seating is reserved for walk-ins. Cocktails are available while you wait. 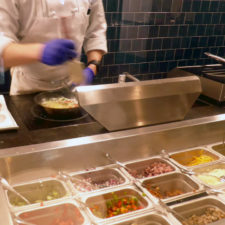 There is also an app for take-away, which includes the popular rotisserie chickens and biodegradable cutlery. Straws are paper, not plastic. Seating is first-come, first served. 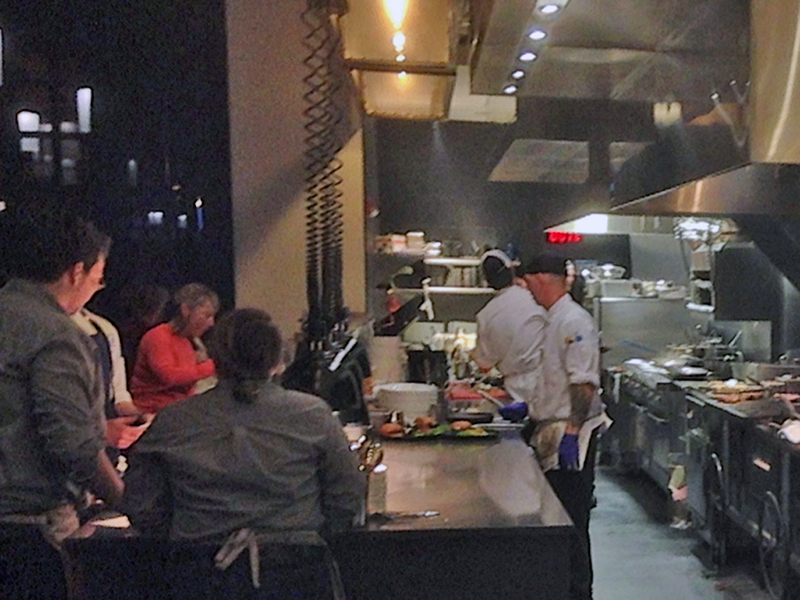 If you are lucky, you might snag one of the best seats in the house–six counter seats by the open kitchen right at the hub of the action, enabling you to interact with the chefs while you dine. A great deal of planning went into creating this unique environment. Sound engineers incorporated Tectum ceilings and neoprene on the beams to control acoustics and allow for relaxing conversations amid the lively ambience. 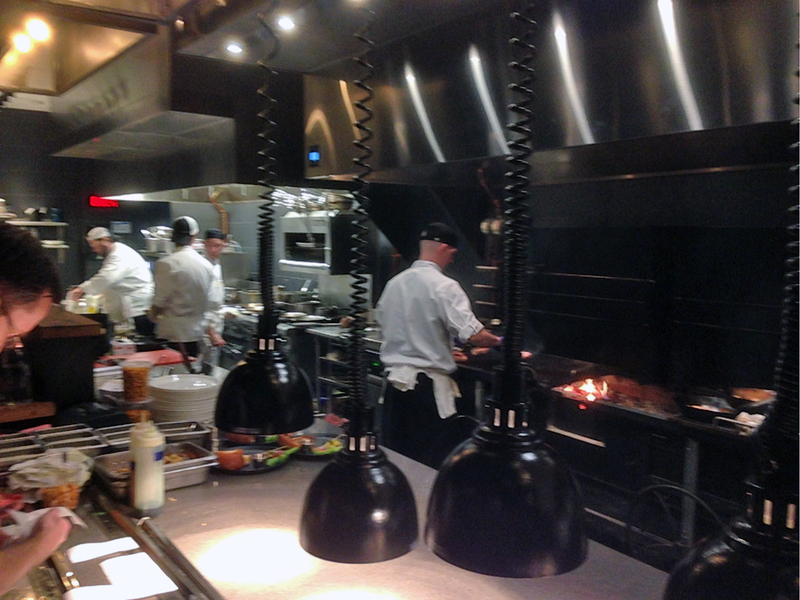 Lighting brightens each dining space while maintaining overall subdued, sophisticated illumination. The staff contributes a wealth of ideas and experience. 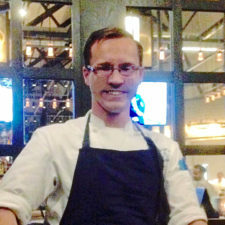 Executive Chef Patrick Bassett, formerly of Cape Cod’s 5-star Wequassett Resort and Golf Club and Boston’s L’Espalier, arrived before construction began. 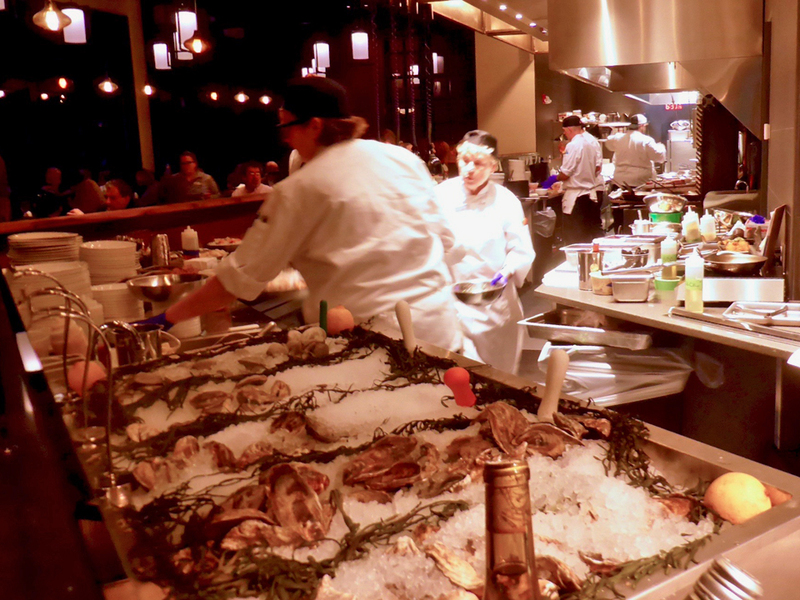 Fresh, locally sourced ingredients and New England seafood go into creating the seasonal New England cuisine. 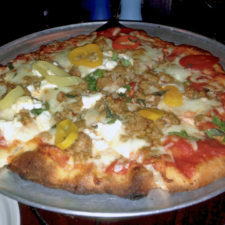 Vegetarian and vegan and gluten free options are offered. 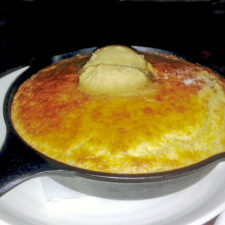 A meal might begin with cornbread topped with maple butter, made from a special finely ground meal from South Carolina, the spicy, meaty ribs, or the chilled seafood platter. 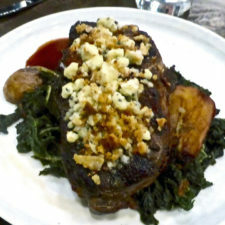 Potato crusted cod in a smoked bacon-leek fondue and the wood-fired dry-aged ribeye for two with Bordelaise sauce are among the favorite entrées. 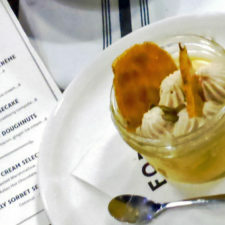 The heirloom squash pot de crème with maple cream, the crunch of pepita brittle, and touch of thyme is light yet satisfying , a grande finale to an exceptional dining experience. 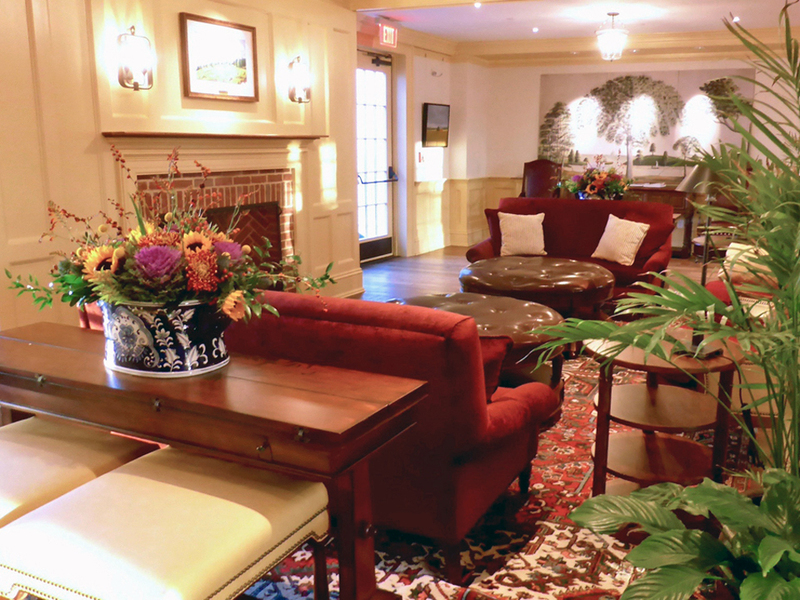 The Groton Inn is part of the Migis Hotel Group, a Maine-based hospitality management company of resort properties, boutique hotels, and award-winning dining facilities.